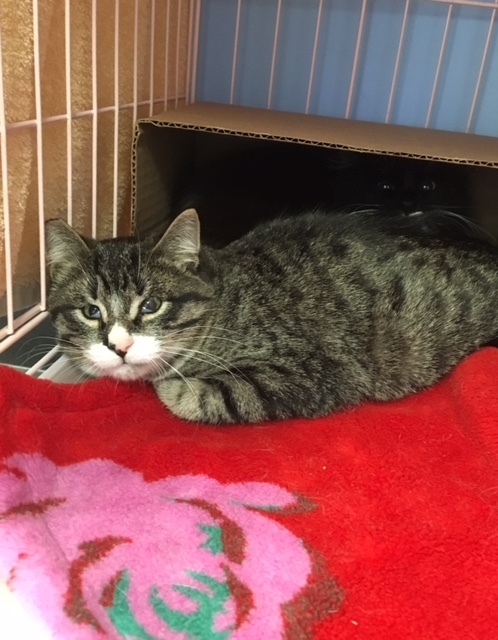 George and Harriet are approximately 8 month old siblings. They were strays and are shy but playful. They like other cats. The kittens have eyelid agenesis, a congenital condition in which the eyelid is not properly formed. It doesn’t stop them from playing! George the gray tabby is more trusting than his fluffy sister. Harriet just needs time to come around on her own. Harriet is active and an expert and tossing toys around. Please call Molly: 651-295-3758 or email mollysgardens@gmail.com.